Situado no bairro de Alfama, com vista para o Largo do Vigário, este apartamento soalheiro é o espaço ideal para quem quer desfrutar de um ambiente típico, calmo e seguro. 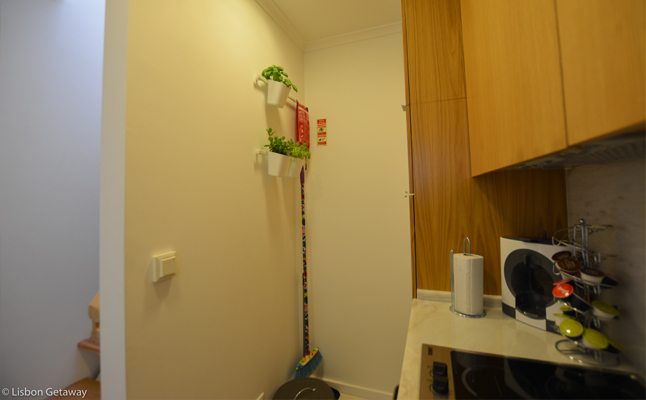 Este apartamento T2 fica situado num prédio único do século passado totalmente remodelado em 2015. 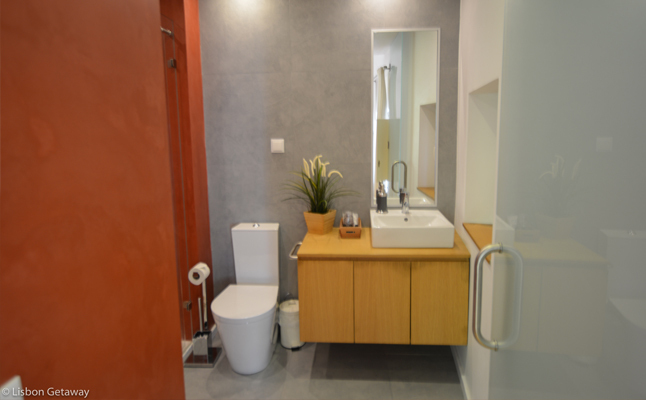 Com mobiliário moderno e decoração elegante, é constituído por 1 suite com cama de casal, 1 suite com 2 camas, uma sala confortável com um sofá-cama, 2 pequenas varandas, uma cozinha e um WC de apoio à sala. A cozinha está totalmente equipada com frigorifico, fogão, micro-ondas, máquina de café, torradeira, chaleira elétrica, loiça e talheres para 6 pessoas. Acesso wi-fi gratuito em todas as divisões e TV Cabo na sala. Great accommodation. Paula was a very nice host. The house was very comfortable and nice. Totally recommended. 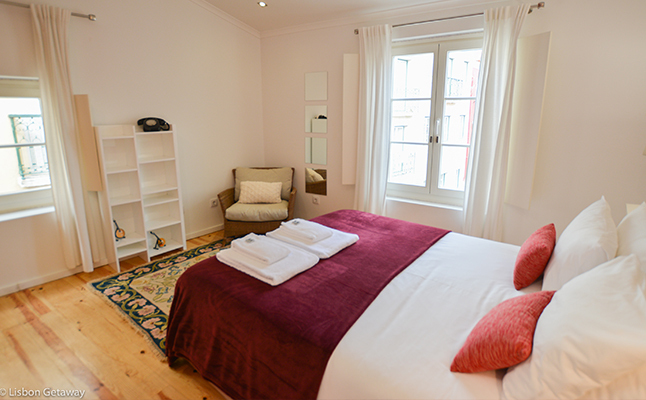 Paula's spot in the Alfama area is so well-located and nicely updated that you feel as though you have the best spot in town. Paula was really great with communication and welcomed us warmly with many great suggestions. The kitchen is well-stocked, and there are a number of small shops nearby for supplies. Public transit is nearby, too, with the train station just downhill. Being so central really helped us maximize our short time in Lisbon. Highly recommended! Todo, el apartamento es espectacular !! Muy recomendable! We were surprised by the good quality the apartment had! 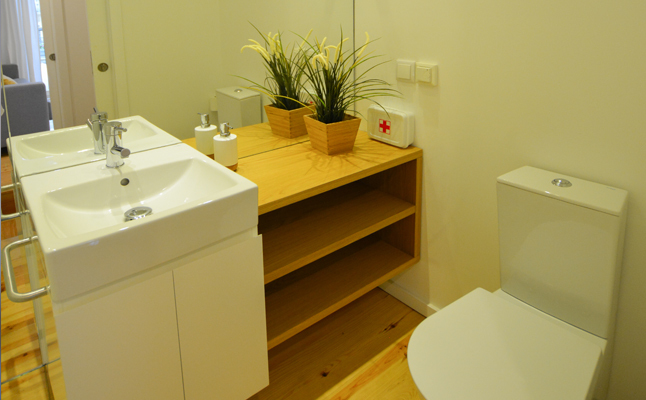 I was surprised with the good and beautiful furniture and interior design in the house. Also the small package of starter food we have received! 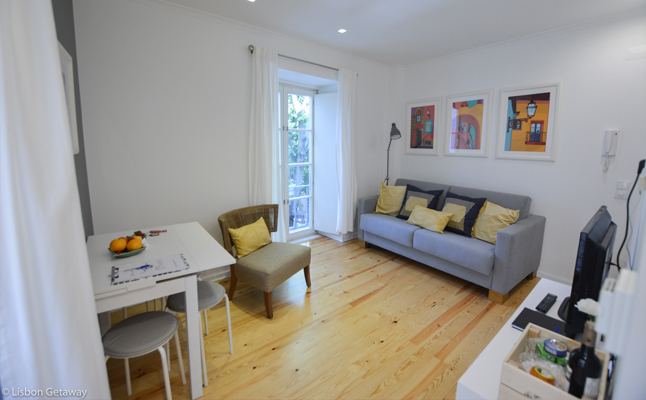 This apartment is a real gem in the heart of Alfama. Paula's welcome was exceptional with lots of information and tips on what to do. 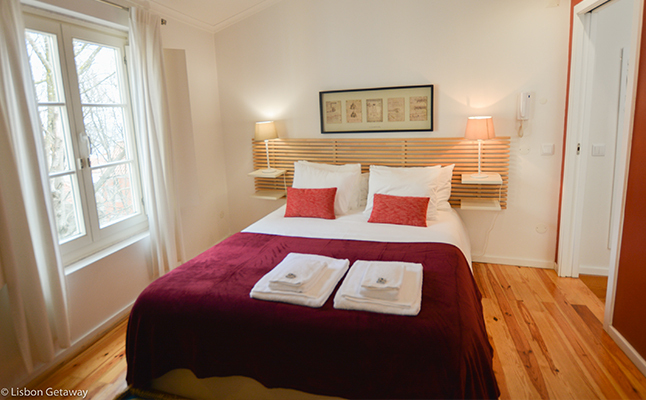 We loved the apartment which has been lovingly restored and is a very comfortable space (lots of stairs!) and in a quiet area with practically no traffic. The apartment was very well equipped with tea/coffee, fruit and a nice bottle of wine. We had a late check-out too which was very much appreciated. 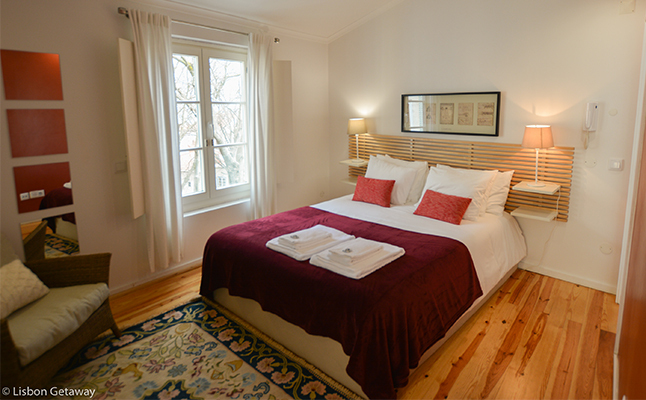 We would throughly recommend this apartment for a perfect stay in Lisbon. Thanks Paula! Just as described! 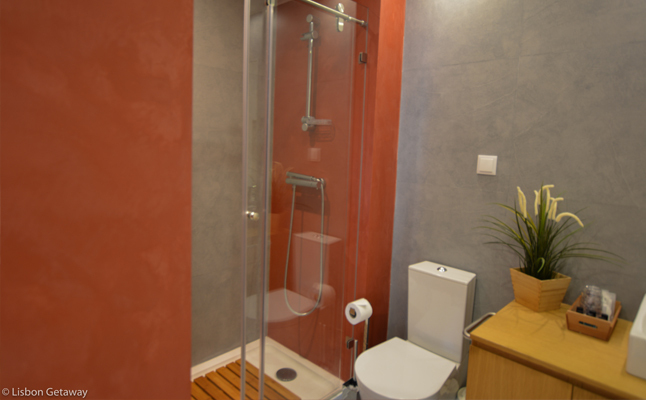 Perfectly decorated and equipped for 4 persons. Thanks for the warm and smiling welcome. The booklet with tips/tings to do was very useful! 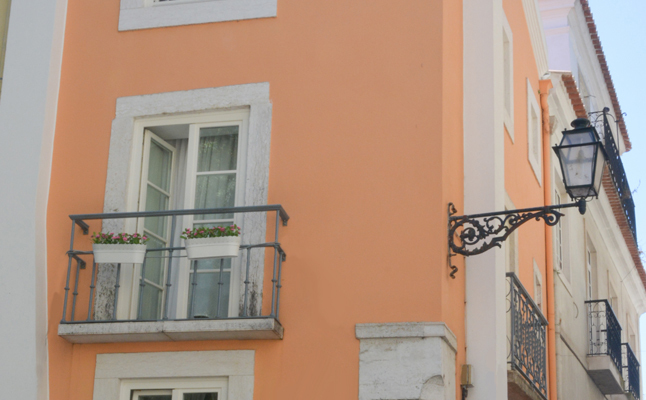 We loved the surroundings of the flat - Alfama has a lot of small shops & restaurants, (we enjoyed the Fado-songs!) 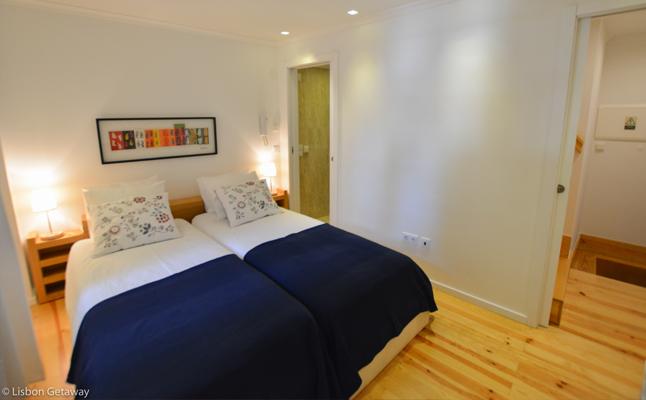 - and there is easy access to transportation near the Tejo. We give our best recommendations. 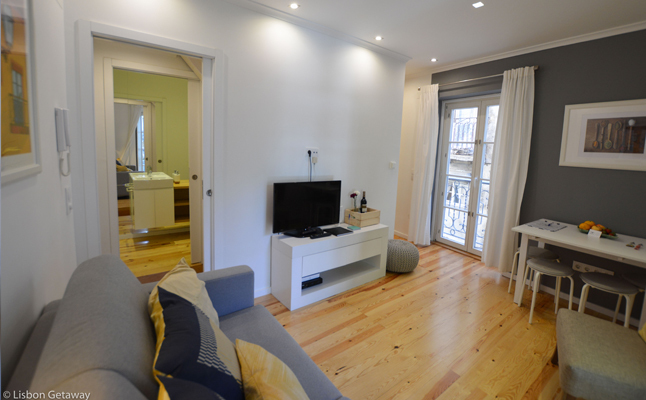 Logement très bien situé qui permet de faire beaucoup de visites à pieds, hôte efficace; quartier très agréable. Paula was a fantastic host. She greeted us with a welcome pack of food and drinks which was much appreciated after our long day's travelling. Paula had prepared a file full of useful information about the main attractions, bus and tram routes which was really useful. 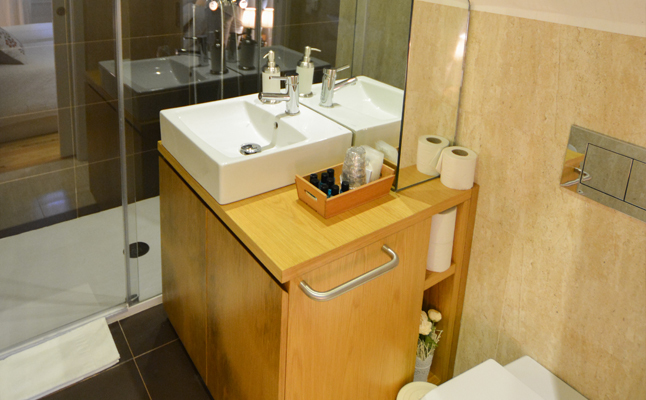 The house was perfect, exceptionally clean and ideal for the four of us. Would definitely recommend it. Home from home. 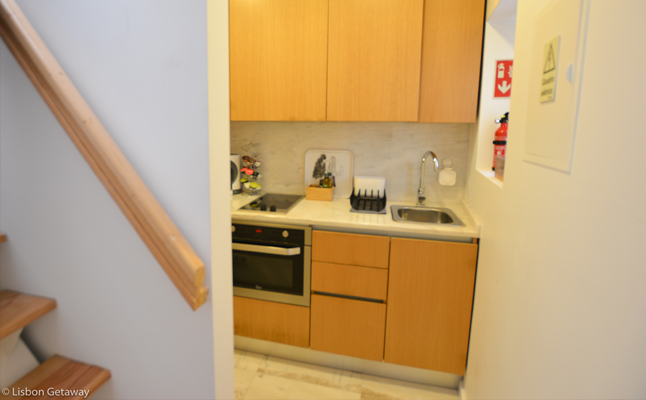 Appartamento carinissimo nel caratteristico quartiere di Alfama. La localozzazione è perfetta per girare a piedi tra le viuzze e sentire l’atmosfera portoghese. Vicinissima anche ai treni, autobus e metro e al centro città. Eravamo un gruppo di sei amiche e la dislocazione su tre piani è stata ideale; letti davvero comodi, cucina piccola ma perfettamente attrezzata. Paula ci ha fatto trovare tutto per la colazione, è stata gentilissima, puntuale e d’aiuto con molte dritte sulla città. Bagni molto belli e confortevoli. Di notte capita che si sentano rumori e vociare dato il quartiere pieno di ristoranti e bar (URL HIDDEN) se mai mi capiterà di tornare a Lisbona tornerei di volata in questo appartamento. Grazie Paula! Had such a great time. It's in a really nice location. 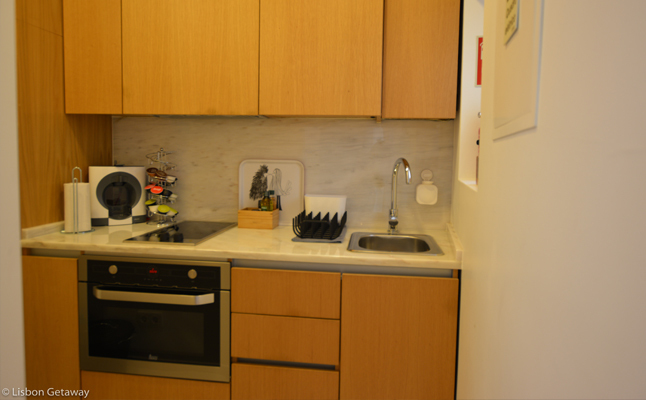 The apartment is very clean and very well decorated..all brand new. Would love to stay here again when I visit Lisbon. Très bel appartement conforme à la description. Très bon accueil de l'hôte, très flexible pour l'entrée dans les lieux. Sensacional apartamento para alojarse en Lisboa. No lo duden.....maravilloso !!!! Brilliant apartment! Great location! 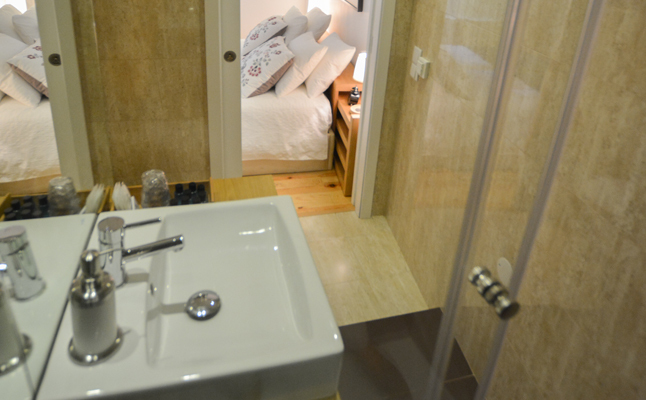 It's a modern, great flat with super comfortable beds. The attention to detail is lovely, and the wine and food provided is a kind welcome gesture. Worth noting the stairs are very steep and it has 2 staircases. I would definitely recommend! Thanks for having us! Appartement très agréable, bien agencé et lumineux en plein milieu du quartier d Alfama et Paula est très accueillante avec ses hôtes. C est une adresse que nous recommandons, parfaite pour quatre personnes. 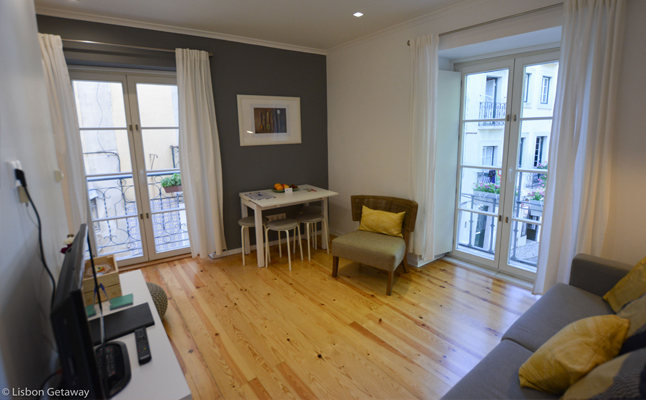 Paulas apartment is located close to the train/ metro station Santa Apolónia. The apartment is quiet at all; there was noise neither from the other apartments nor from the street / neighbours etc. 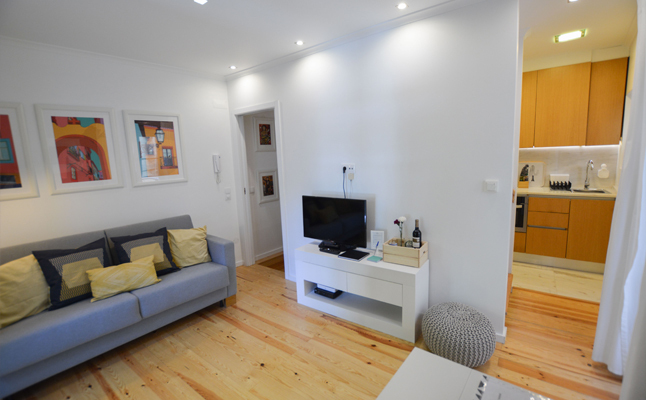 The apartment looked exactly like you see it on the pictures and even better! It is almost in perfect and new condition! We stayed with 4 buddies and thanks to 2 bathrooms/ 3 toilets/ 3 possibilities to sleep we never had stress to get ready for the day/night etc. It is equipped also with some extras like a capsule coffee machine etc. Paula helped us out with everything and she is a very pleasant person. The checkin and the checkout hours were superflexible! We appreciate this much! Most of all I would highly recommend her apartment! Es un espacio acogedor que cuenta con todo lo necesario para sentirse en casa a pesar de los miles de kilometros lejos. No le falta nada, las instalaciones están en excelente condición, las camas están muy cómodas, la ubicación está muy bien. 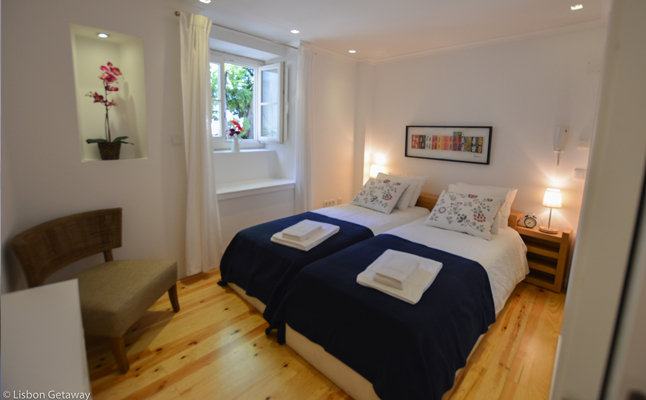 Paula's place is absolutely impeccable and located in such a charming, lovely area of Lisbon. Paula was extremely flexible with us and very gracious. 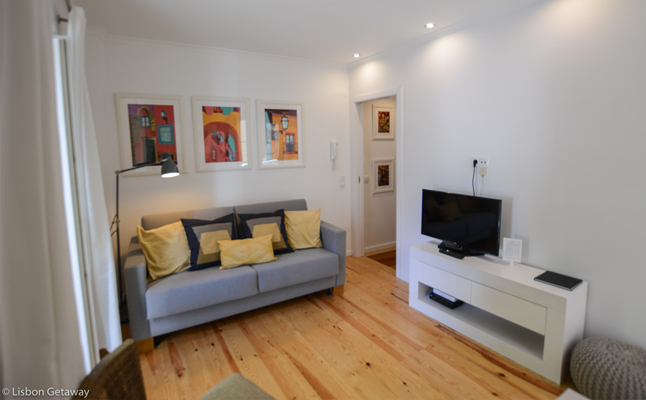 We can't write highly enough of her apartment or the area or indeed Lisbon and its friendly, helpful folk. Os preços indicados são por apartamento acomodando 4 pessoas. Por cada pessoa extra será cobrado um valor adicional indicado na descrição do apartamento. Existe uma taxa de limpeza no valor de 35€ paga em dinheiro no inicio da estadia. 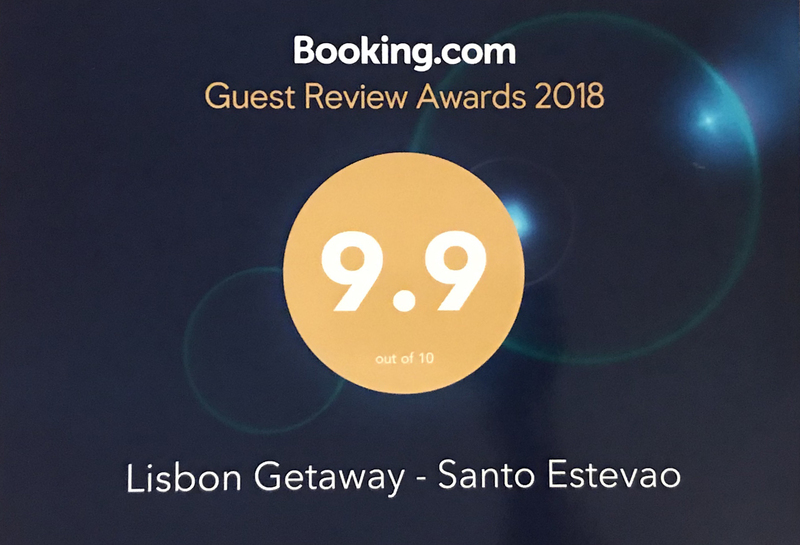 Quais são os horário do check-in / check-out? São permitidos animais de estimação?